Last week we celebrated ancient amaranth, superfood of the Aztecs. So this week we decided to explore another ancient “grain” that sustained a great civilization. Quinoa was to the Incas what amaranth was to the Aztecs: a source of strength and life. And just like amaranth, quinoa isn’t really a grain at all. It is a seed from a plant in the goosefoot family, and along with amaranth and buckwheat is often called a “pseudocereal” because it is grown for use as a grain. Let’s take a trip through quinoa’s history before indulging in a delectable recipe for easy, gluten-free, dairy-free, No-Bake Quinoa Cookies. Quinoa is native to the Andes Mountains and has been eaten continuously by the people of the region for 5,000 years. Remains of the grain have been found in tombs at Tarapacá, Calama and Arica in Chile, and at archaeological sites all over Peru. It was a staple crop for the Inca civilization. They called it “chesiya mama,” which means “mother of all grains” in the Inca language Quechua. Each year during the “first planting of the season” the Inca emperor would show his respect for the crop by breaking ground with a golden implement. Quinoa was used in multiple religious festivals and even offered as a “fountain of gold” to the sun god Inti. Much like the story of amaranth, quinoa’s bright future was nearly snuffed out by the Spanish conquistadors. They shunned it as something that was only associated with the natives and therefore should not be consumed by the white man, the upper class of society. Its excision was used as a tool to undermine the entire Inca civilization. With the Spanish burning the quinoa fields and suppressing the crop’s future growth, the Inca culture was irreparably disrupted. 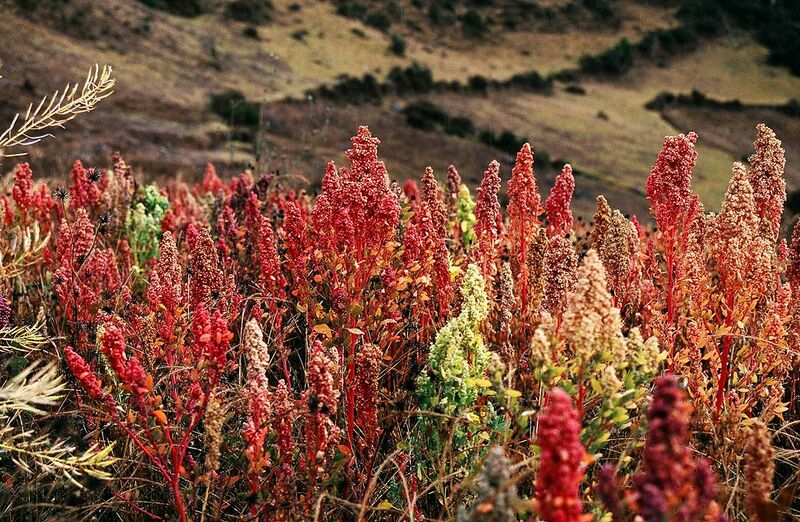 Thankfully, in higher altitudes where the Spanish reach did not extend with such authority, some quinoa continued to grow so that it could be rediscovered in the future. Today, quinoa is once again appreciated for its incredible nutritional benefits. It can be used to make a plethora of healthy and tasty dishes, but is also useful in products such as shampoos and body washes. It can survive and even thrive with very little rainfall and at great altitudes. This supergrain will fill you up and keep you energized all day long, just like the Inca warriors centuries ago. 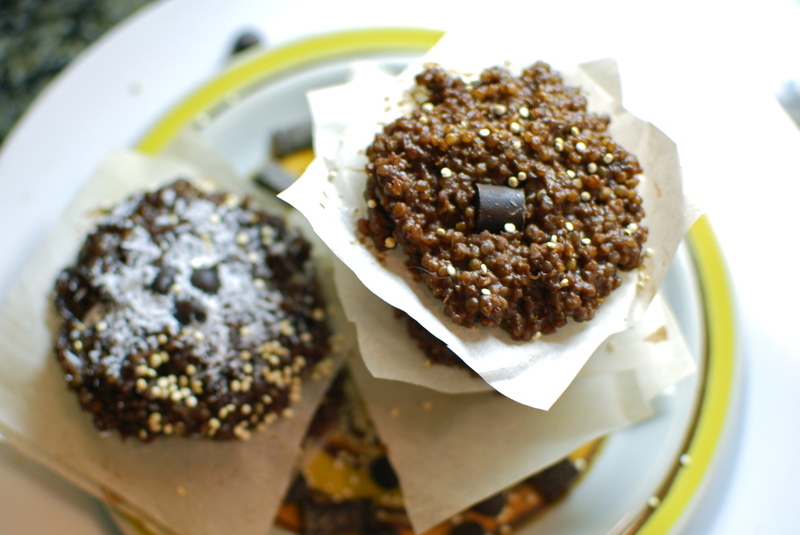 So make up a batch of these simple but yummy cookies and hit the road for an adventure. These powerful little snacks will be sure to keep you going all day. If you haven’t already, make the quinoa according to directions on the bag. Line a baking sheet with parchment paper and clear a space in your fridge or freezer for it. Set aside. Stir in peanut butter OR almond butter, vanilla and salt. Mix in quinoa. Add coconut if you are making coconut almond flavored cookies. Make sure to taste test! Drop batter in small scoops onto the parchment paper (using a 1/4 or 1/3 cup works well). If desired, top with chocolate chips. Place trays in fridge or freezer to set, which will take at least an hour. The cookies are ready once they are completely firm. For best results, cut and serve on parchment paper. Store in the fridge. Putnam, D., Oplinger, E., Doll, J., & Schulte, E. (n.d.). Quinoa. Retrieved September 30, 2014. 2013 International Year of Quinoa (IYQ2013). (n.d.). Retrieved October 3, 2014. Keoke, E., & Porterfield, K. (2002). Encyclopedia of American Indian contributions to the world: 15,000 years of inventions and innovations. New York, NY: Facts on File. Erdos, J. (n.d.). Quinoa, Mother Grain of the Incas. Retrieved October 3, 2014. This entry was posted in Blog, Bon Appetit Wednesday, Culinary, Culture and tagged ancient cuisine, ancient food, ancient history, ancient recipes, ancient superfood, AntiquityNOW, Bon Appetit Wednesday, gluten free, inca, pseudograin, quinoa. Bookmark the permalink.